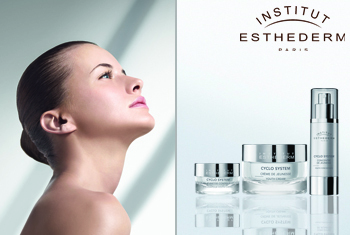 Designed for mature skin, the Institut Esthederm Cyclo System range improves the appearance of wrinkles whilst training the skin to function as if it were young. Providing an effective response to ageing, Cyclo System products re-plump and rehydrate, allowing the mechanisms of young skin to reactivate over time. The Cyclo System range will reestablish the operating mode of your skin with treatments that comfort and re-densify for long-lasting results.